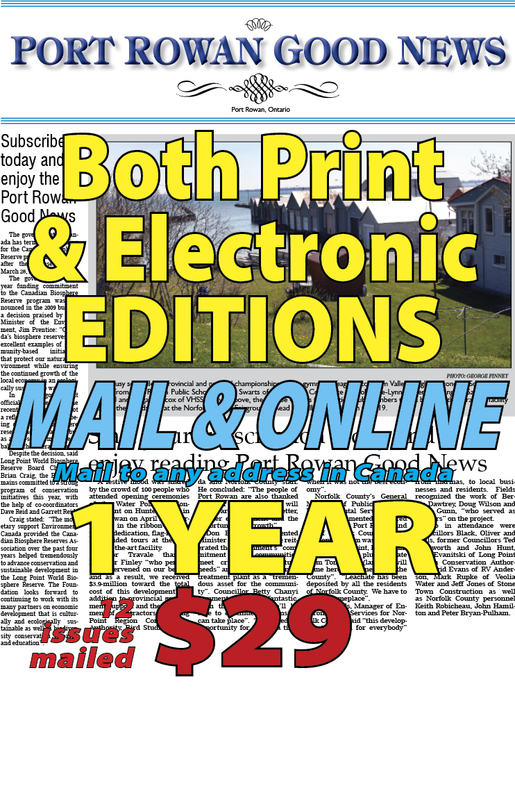 One year online and print editions of the Port Rowan Good News. Read the paper whenever, and wherever you want, even if you didn’t bring it with you. You can access your subscription online and download to your laptop, tablet or even your phone to read and enjoy!